GOOD.VHS Tape in photo-illustrated box, bagged for protection. VG. rolled reprint full-sized movie poster, very light exterior wear, in hard plastic protector sleeve, poster may arrive with creases from being rolled and from shipment. 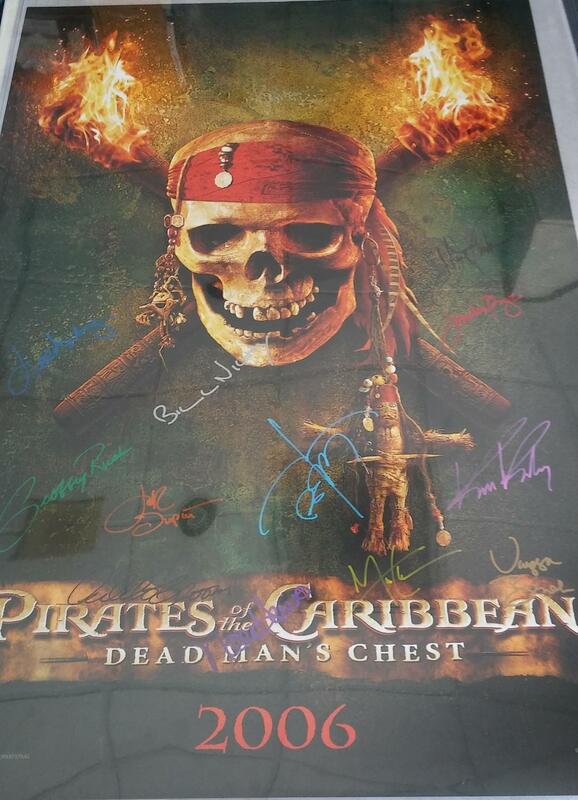 *AUTOGRAPHED/SIGNED* by Orlando Bloom, Bill Nighy, Johnny Depp, Geoffrey Rush, Lee Arenberg, Hans Zimmer, Keira Knightley, Jack Davenport, Jonathon Pryce, Naomie Harris, and Mackenzie Crook. GOOD+. 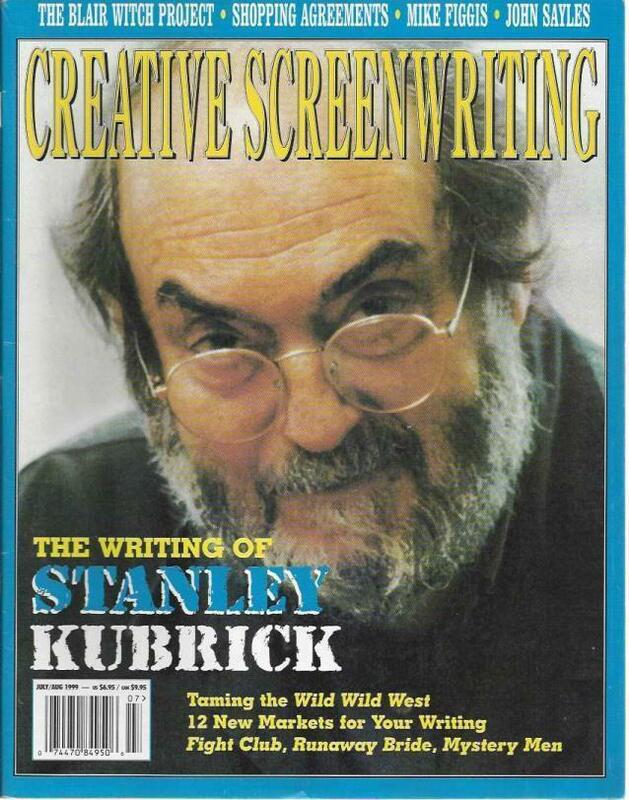 Lot of 8 Creative Screenwriting magazines, including July/Aug 1999, Sept/Oct 2000, Nov/Dec 2001, Jan/Feb 2002, May/June 2002, Sept/Oct 2002, Nov/Dec 2002, July/Aug 2009. All magazines bagged for protection with a stiff backing board, each approx. 8.5'' x 11'', light shelf wear, small rubbings to spine ends, light creases near spine staples, original price sticker on front cover of Sept/Oct 2000 issue. *AUTOGRAPHED/SIGNED* by Denholm Elliott, John Rhys-Davies, Julian Glover, Sean Connery, Harrison Ford.VG. rolled reprint full-sized movie poster, very light exterior wear, in hard plastic protector sleeve, poster may arrive with creases from being rolled and from shipment. Photo-illustrated wraps, bagged for protection with a stiff backing board, approx. 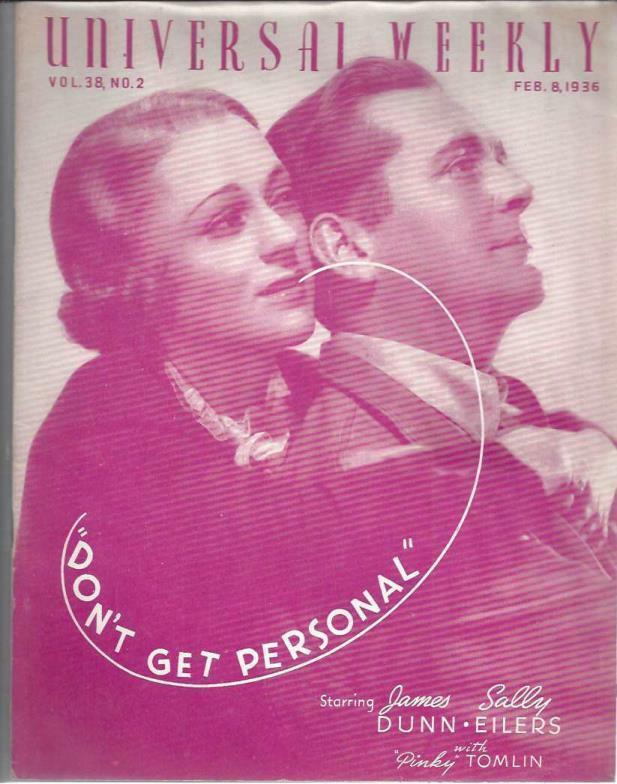 8" x 10.5", very small chips to corners and spine ends, very light creases to spine near binding staples, small creases to covers near spine, no loose or missing pages, no stains or foxing. VG. photo-illustrated screenplay, bagged for protection with a stiff backing board approx. 5'' x 8.5'', very light shelf wear. GOOD. 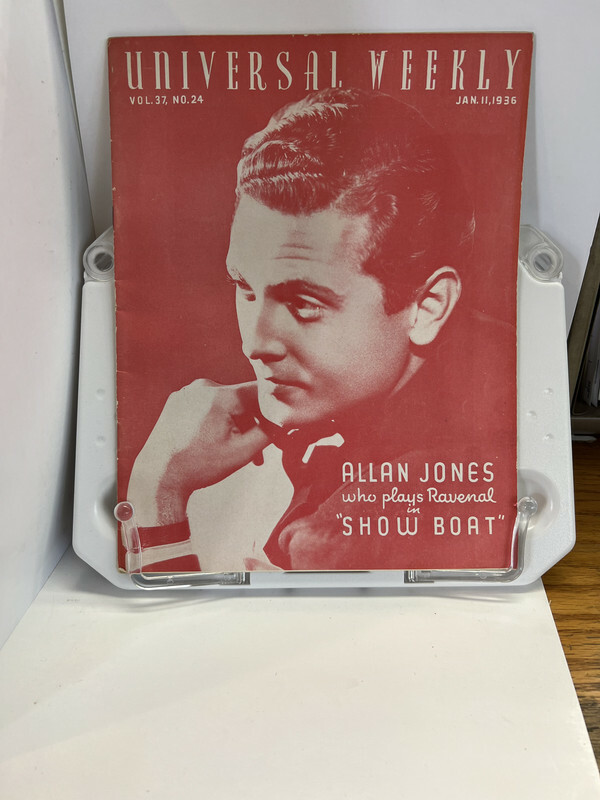 Black and white photo-illustrated magazine, bagged for protection with a stiff backing board, approx. 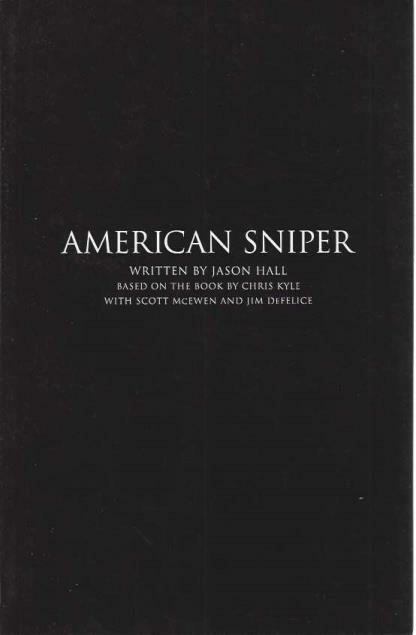 8.5" x 10.5", small/faint liquid stains to covers, liquid stains bottom corner cover and interior pages, rub wear to spine and edges, small creases to corners, very small ink marks to front cover, tightly bound, no loose or missing pages. 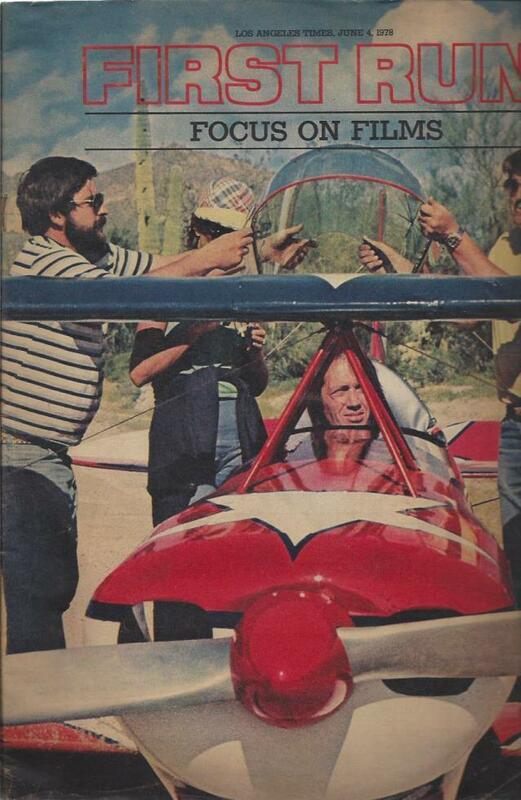 Red/orange photo-illustrated magazine, bagged for protection with a stiff backing board, approx. 8.5" x 10.5", small chips to corners and spine ends, small creases to edges exterior, lightly sun faded exterior, no loose or missing pages. 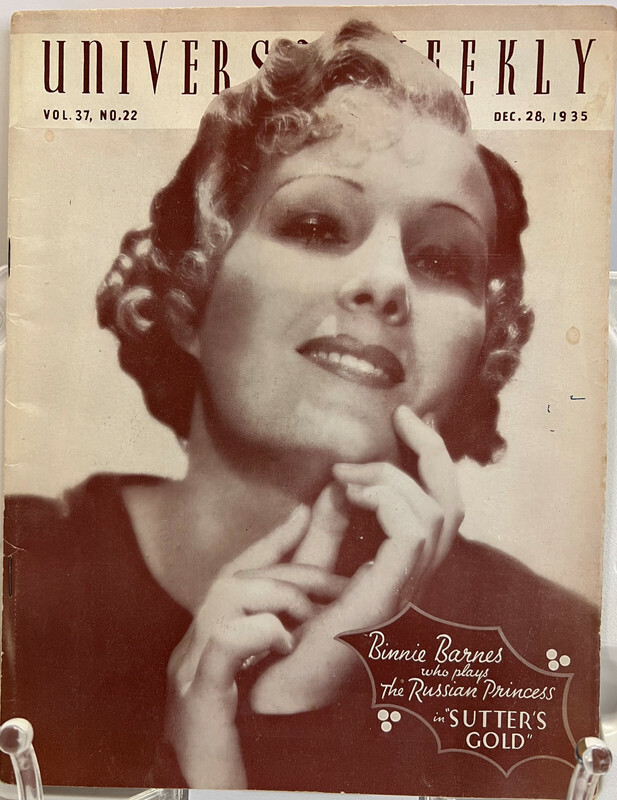 Black photo-illustrated magazine, bagged for protection with a stiff backing board, approx. 8.5" x 11", creases to covers and edges of covers, small chips to edges, light shelf wear, pg.15-21 loose, no missing pages. GOOD. 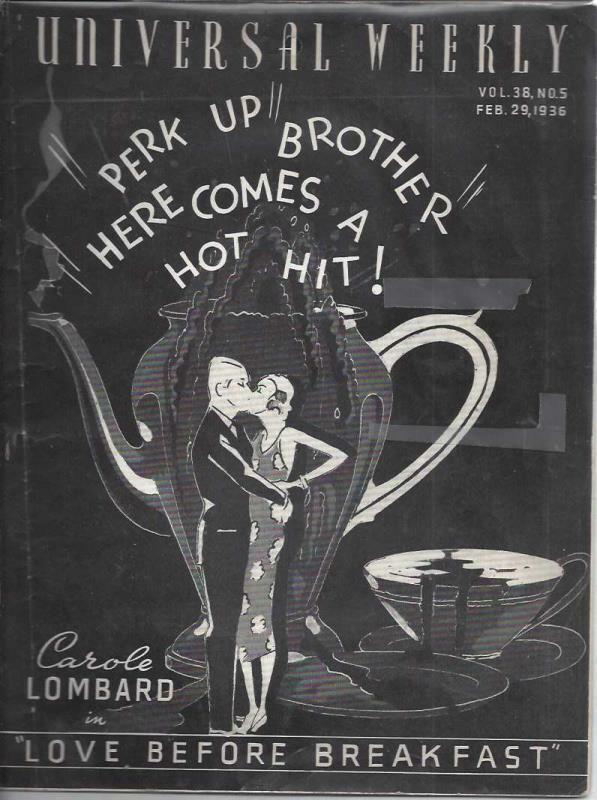 photo-illustrated magazine, bagged for protection with a stiff backing board, light shelf wear, heavy creases and chips to back cover, light wear otherwise. VG. rolled reprint full-sized movie poster, very light exterior wear, in hard plastic protector sleeve, poster may arrive with creases from being rolled and from shipment. 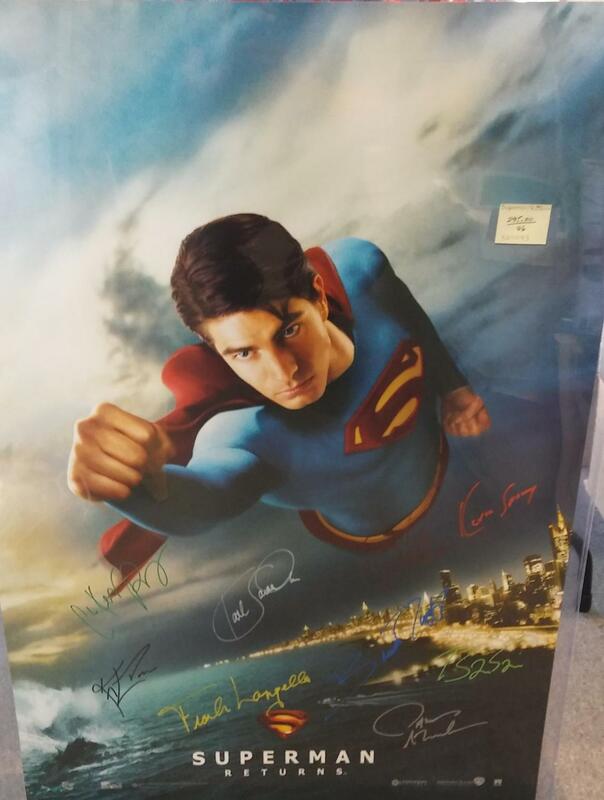 *AUTOGRAPHED/SIGNED* by Billy Bob Thornton, Michael Bay, Liv Tyler, Bruce Willis, Michael Clarke Duncan, Ben Affleck, Steve Buscemi, Chad Oman. VG. rolled reprint full-sized movie poster, very light exterior wear, in hard plastic protector sleeve, poster may arrive with creases from being rolled and from shipment. 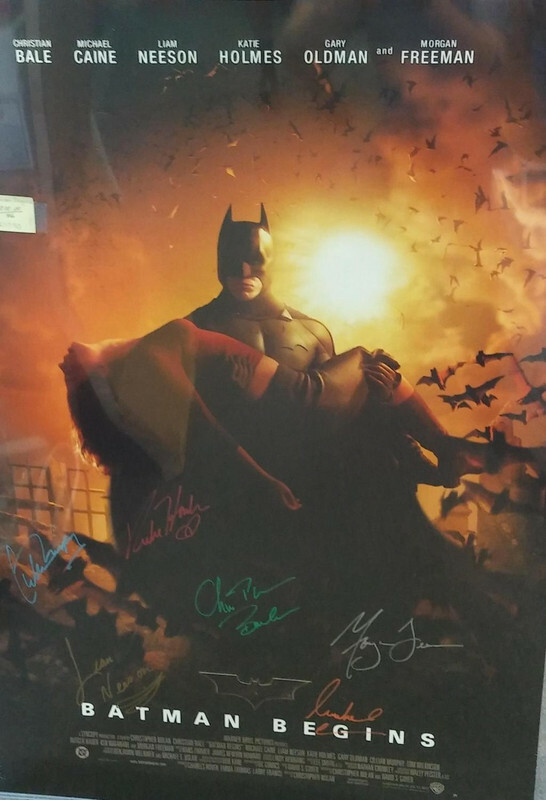 *AUTOGRAPHED/SIGNED* by Morgan Freeman, Michael Caine, Christian Bale, Liam Neeson, Katie Holmes, Cillian Murphy. VG. rolled reprint full-sized movie poster, very light exterior wear, in hard plastic protector sleeve, poster may arrive with creases from being rolled and from shipment. 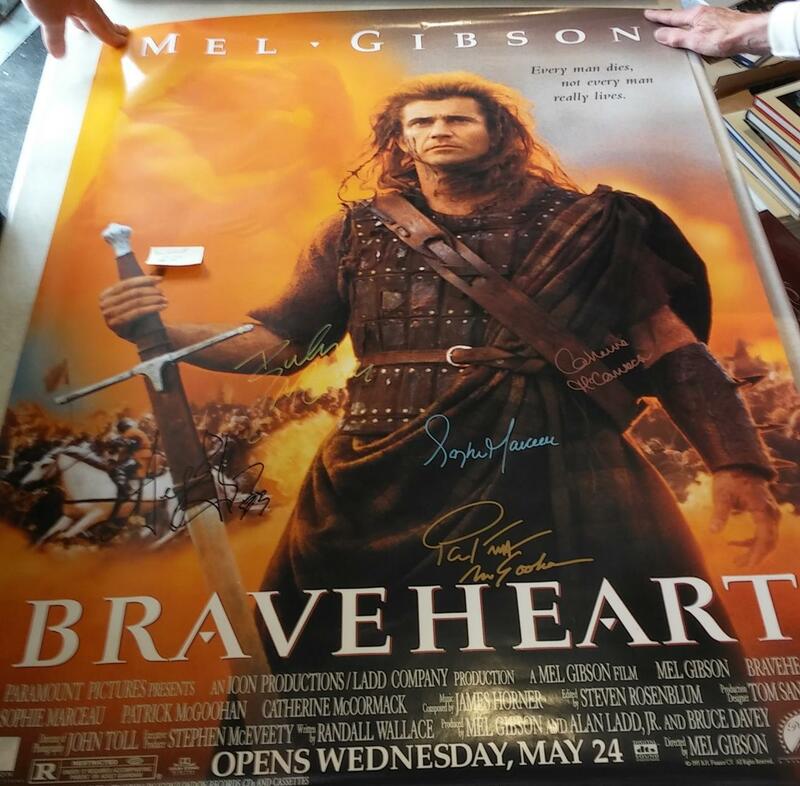 *AUTOGRAPHED/SIGNED* by Mel Gibson, Patrick McGoohan, Catherine McCormack. VG. rolled reprint full-sized movie poster, very light exterior wear, in hard plastic protector sleeve, poster may arrive with creases from being rolled and from shipment. 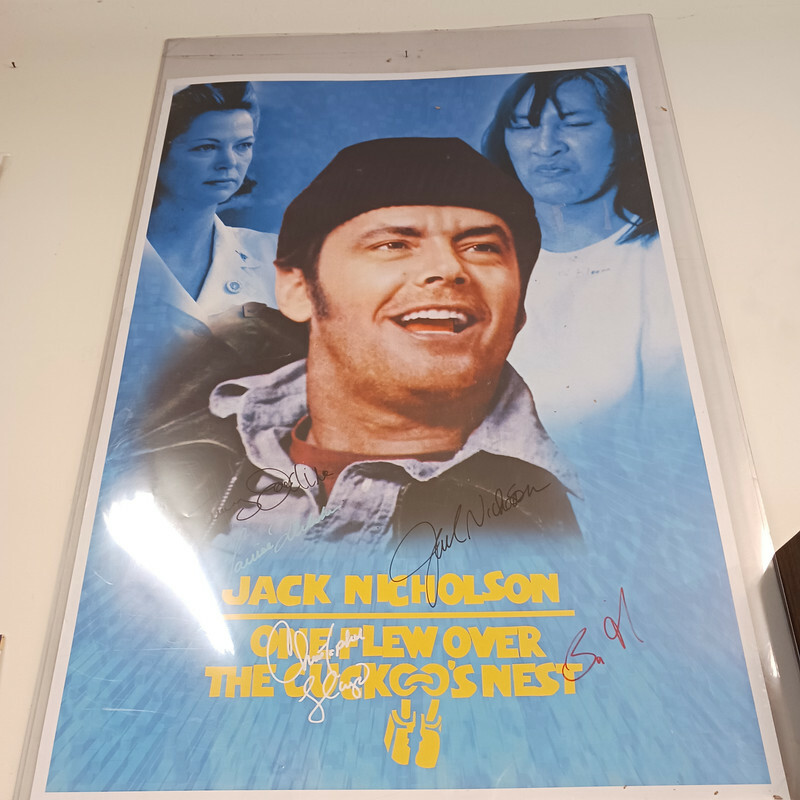 *AUTOGRAPHED/SIGNED* by Danny DeVito, Jack Nicholson, Louise Fletcher, Christopher Lloyd. VG. 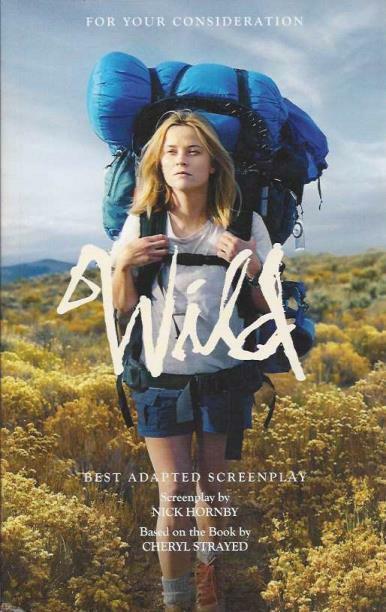 rolled double-sided reprint full-sized movie poster, very light exterior wear, in hard plastic protector sleeve, poster may arrive with creases from being rolled and from shipment. 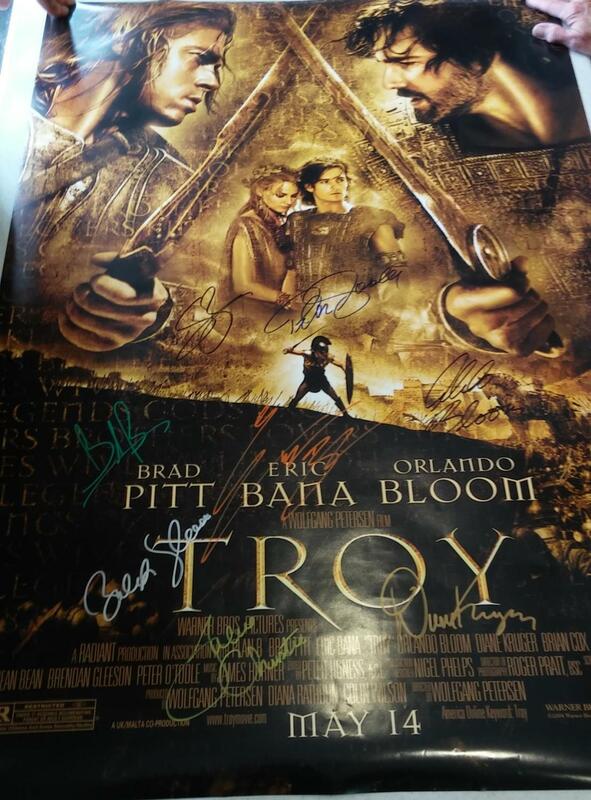 *AUTOGRAPHED/SIGNED* by Peter O'Toole, Brad Pitt, Orlando Bloom, Diane Kruger, Eric Bana. GOOD. Folded, illustrated press book, bagged for protection with a stiff backing board, approx. 11'' x 18'', small chips and creases at folds, light wear otherwise. VG. photo-illustrated screenplay, bagged for protection with a stiff backing board approx. 5'' x 8.5'', very light shelf wear. small dents to bottom spine end.